Botanicals are a huge trend right now. And, really, why wouldn’t they be? With all the modern, hard-edged objects filling our spaces it makes sense that a decor trend centered around nature and natural beauty would be so popular. From decor ideas to art, to textiles, and actual plants, here are 17 ideas for how you can bring botanicals into your interior. 1. 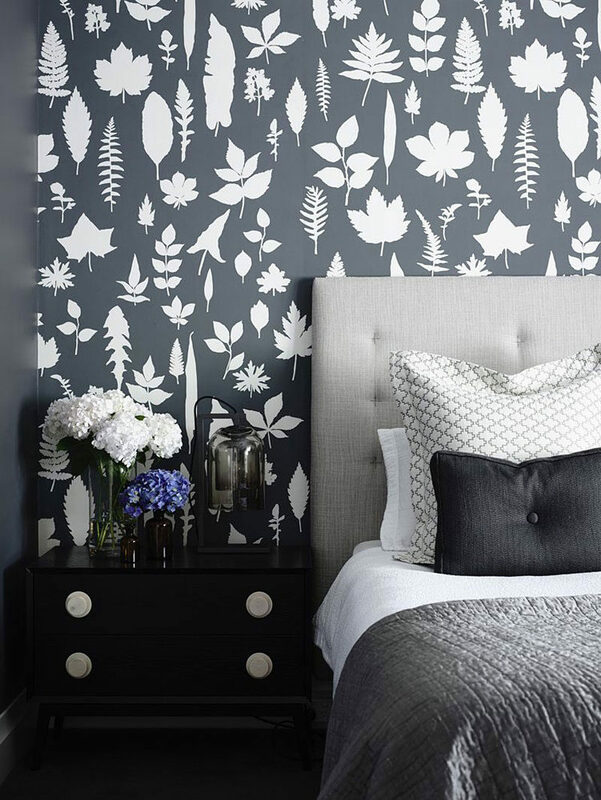 This bedroom incorporates the botanical trend by using a gray and white botanical inspired wallpaper. See more photos of this home, here. Designed by Mim Design. Photography by Derek Swalwell. 2. These orbs with flowers and ferns suspended in them are an easy way to add plants to your interior without having to worry about taking care of them. 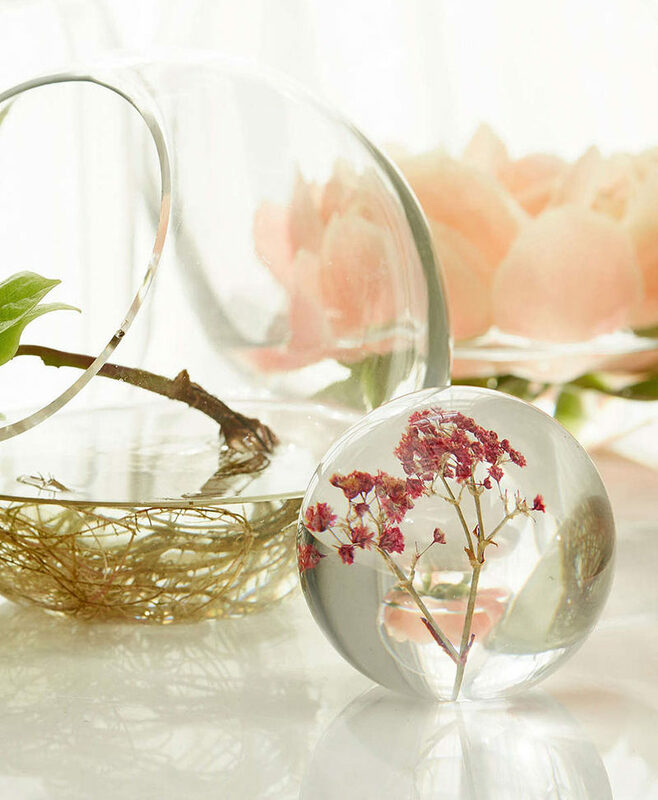 Botanical orb decor from Urban Outfitters. 3. This wall hanging adds texture, warmth, and botanicals to your home – three things no home should be without. 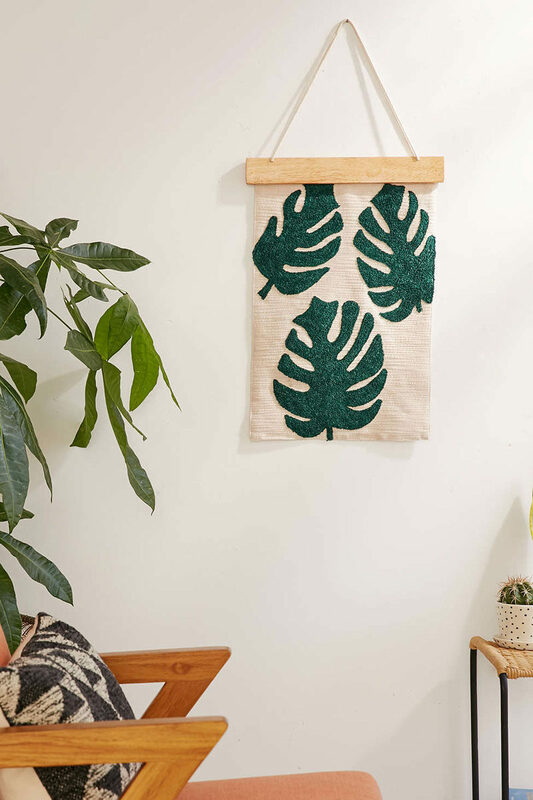 Assembly Home Palms Crewel Wall Hanging from Urban Outfitters. 4. 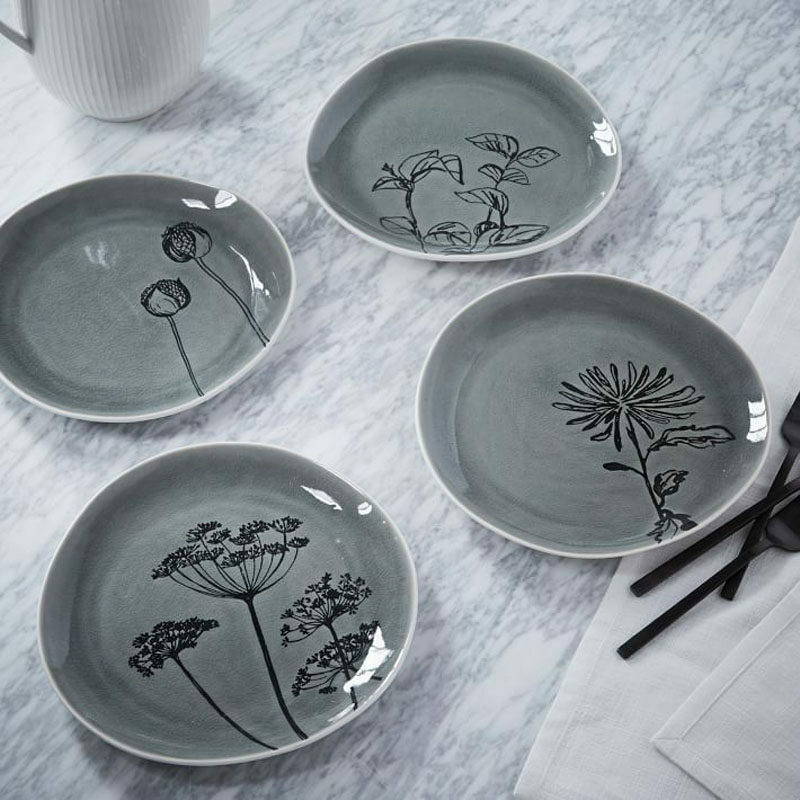 These plates are a subtle way to add some botanicals to your table. Roar Rabbit botanical plates from West Elm. 5. 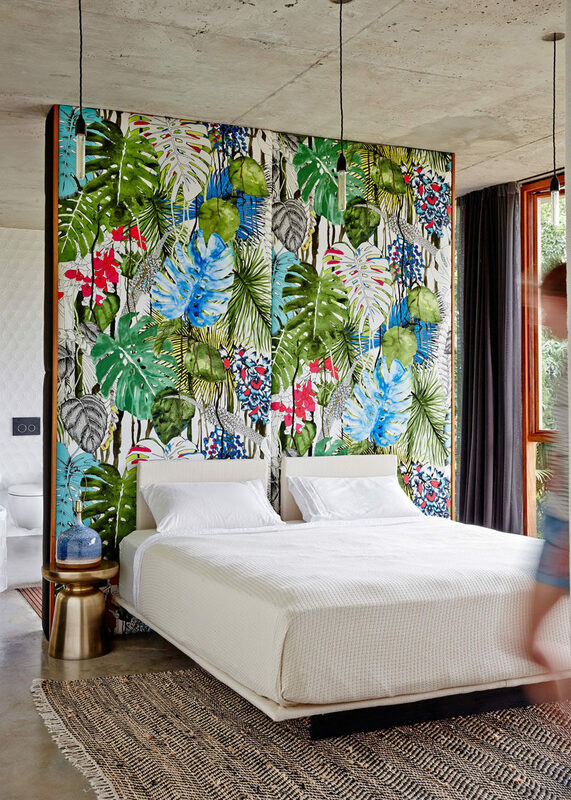 A brighter wallpaper, this botanical inspired one makes more of a statement but takes up less space. See more photos of this home, here. Designed by Jesse Bennett and Anne-Marie Campagnolo. Photography by Sean Fennessy. 6. 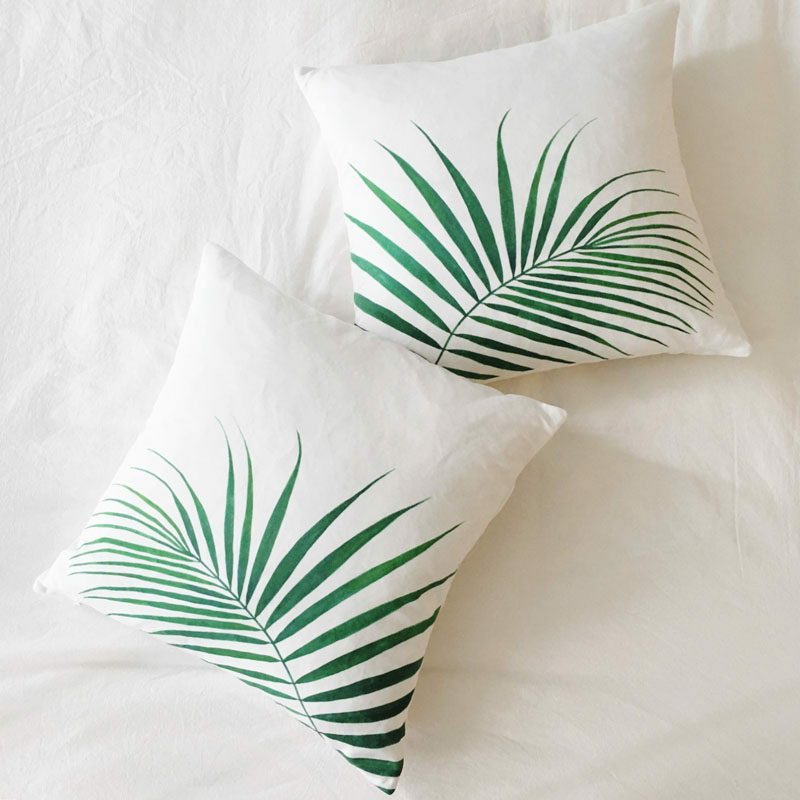 These simple palm leaf pillows add a touch of the botanical trend to your sofa and give you a comfy place to rest your head. Palm Leaf Throw Pillow Cover by Kertis. 7. Place a geometric terrarium on your coffee table and be on top of two trends – terrariums and botanicals! 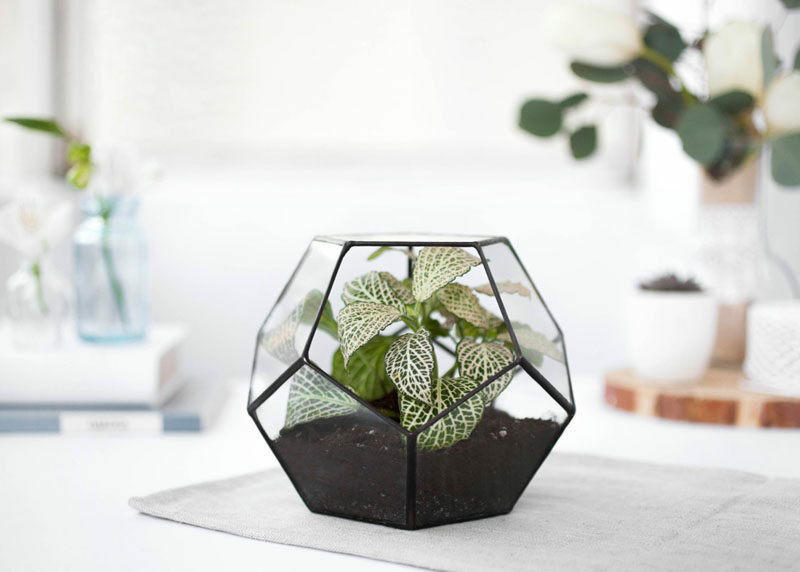 Terrarium Geometric glass by Serious ALOE. 8. 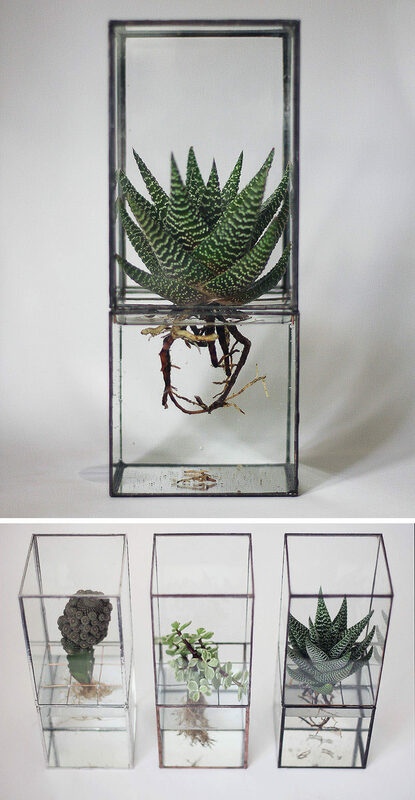 Display a hydroponic terrarium so you can enjoy your plants and have a conversation starter. 9. 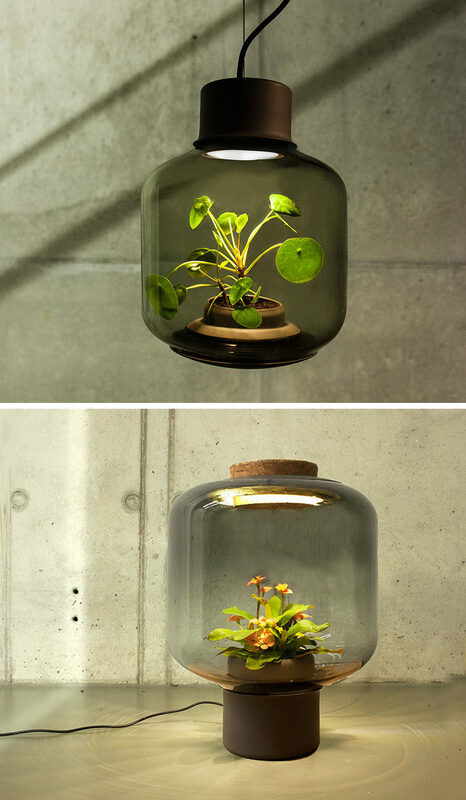 These lamps allow environments that don’t have any windows to still be able to participate in the live botanical trend. See more photos of this lamp, here. Design and photography by We Love Eames. 10. 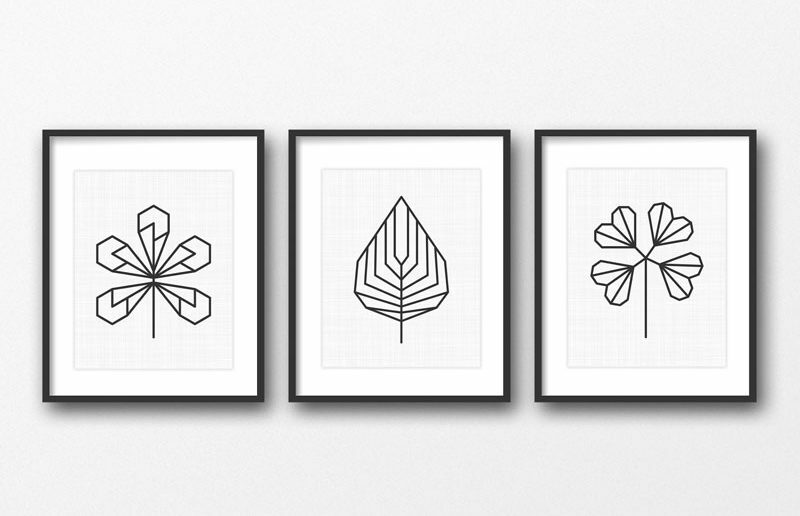 These three prints are great for people who prefer a more geometric type of art but still want to get in on the botanical action. 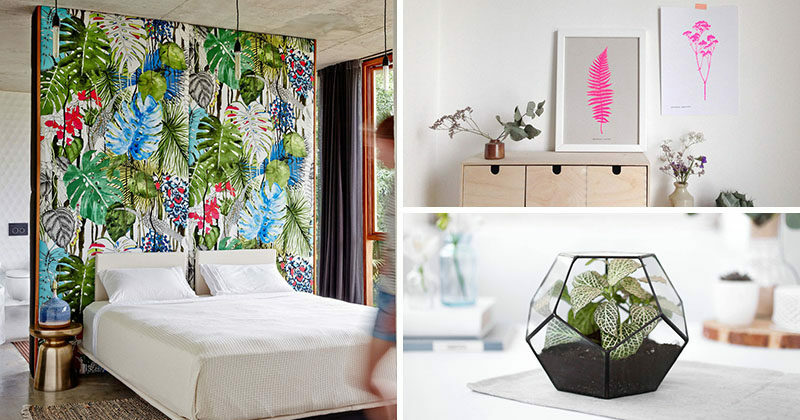 Modern botanical print by kiwi & berries. 11. 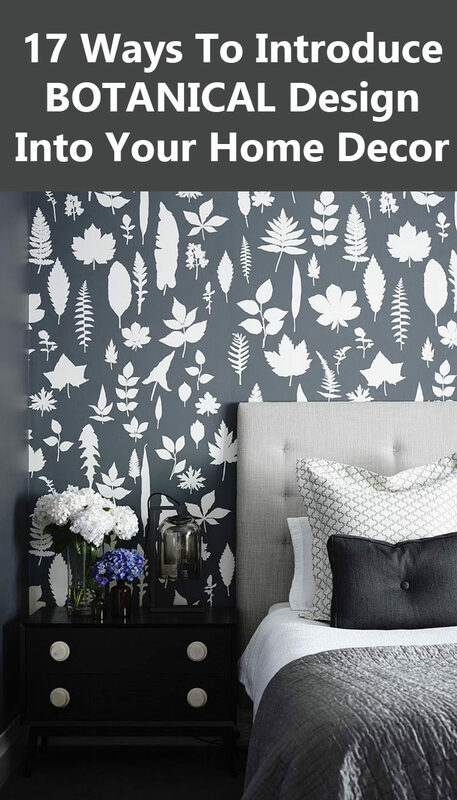 A modern twist on the botanical silhouette, these solid color silhouettes bring in color and keep your decor on trend. 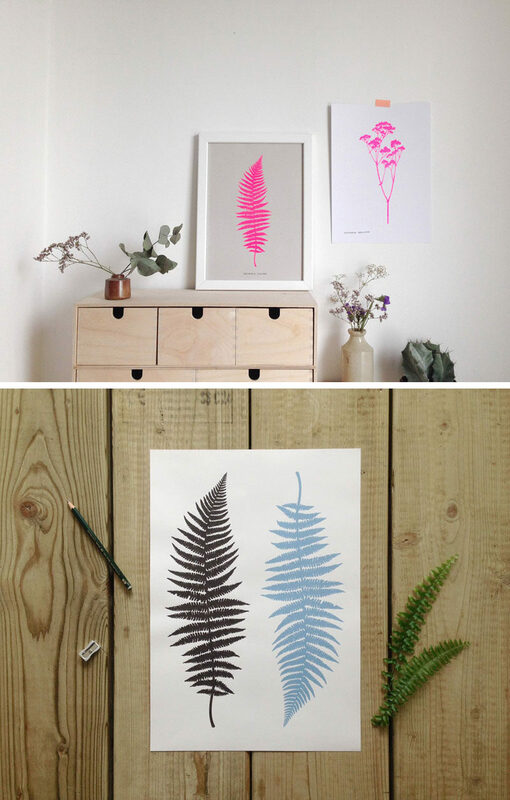 Fern botanical print in bright pink by Super Duper Things. 12. 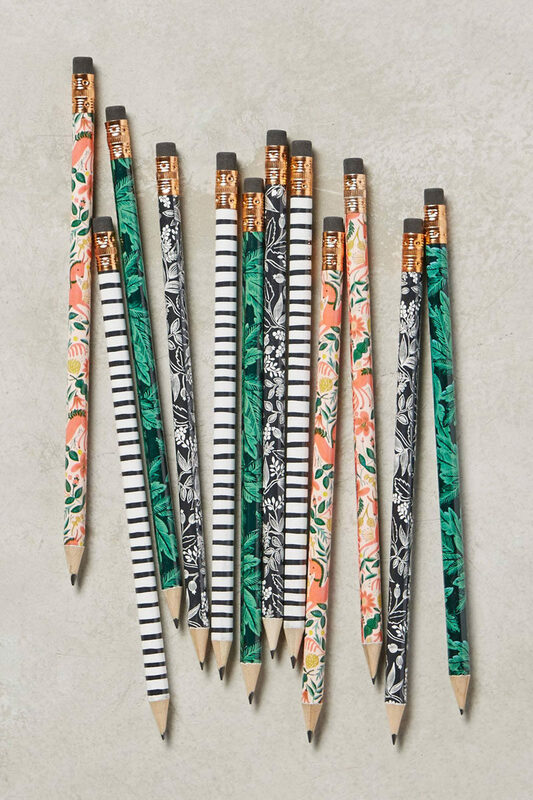 Stick these botanical pencils in a jar and you can practically pretend you’ve got real flowers sitting on your desk. 13. 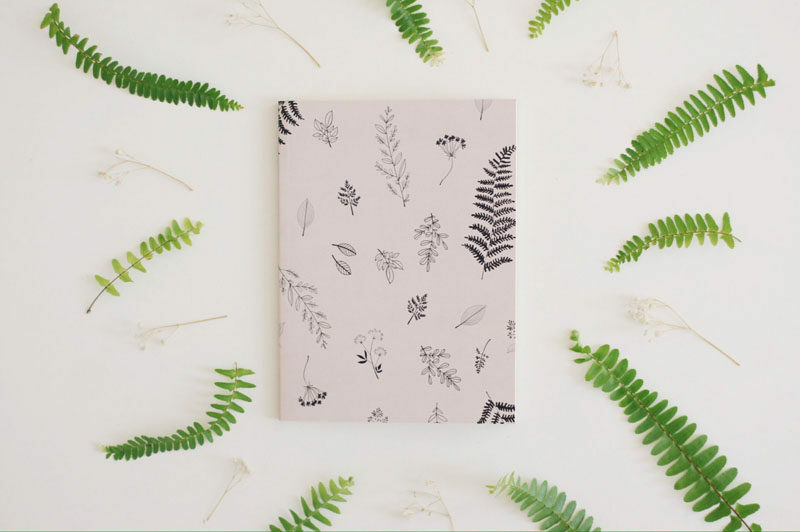 Jotting down notes and to-do lists just got a whole lot more stylish thanks to this botanical notebook. 14. 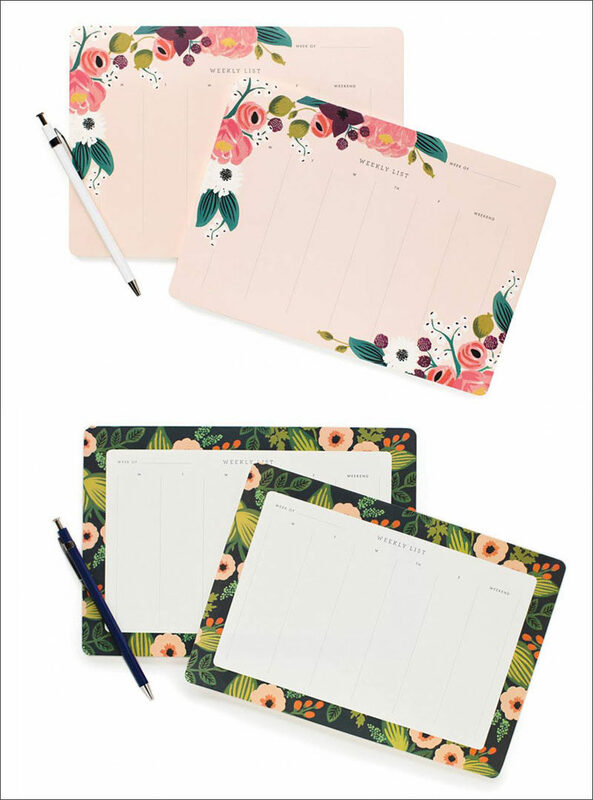 A weekly planner with botanical details is a great way to keep yourself organized while also being completely on trend. Calendar by Rifle Paper Co.
15. A botanical tea towel or two is the perfect way to add some greenery to your kitchen. 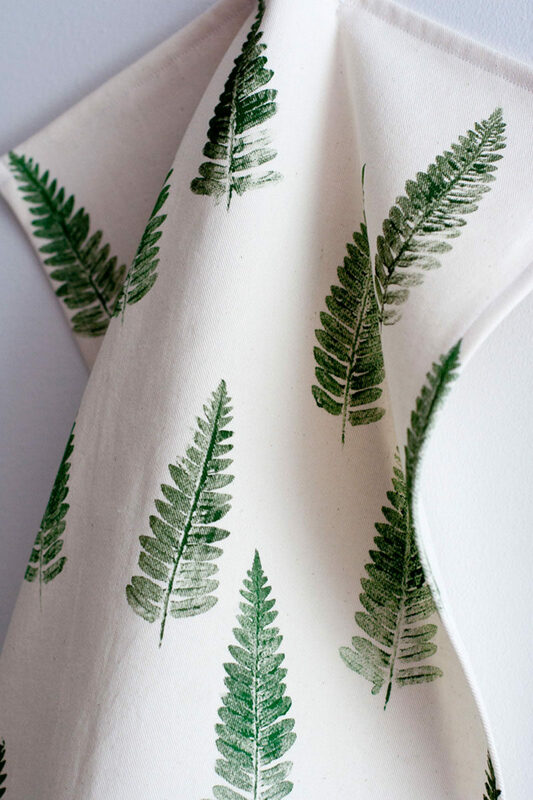 Here’s a DIY for a fern tea towel. 16. 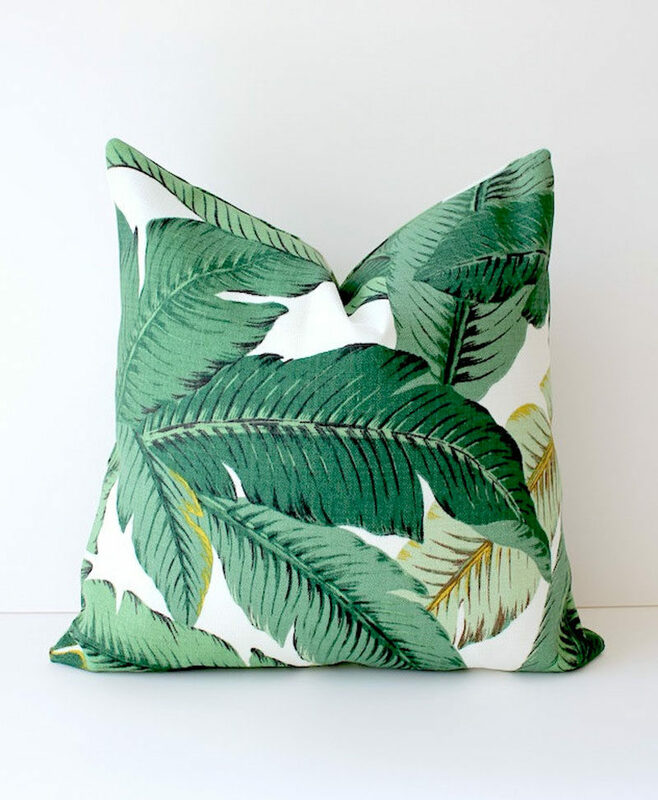 Add a statement pillow to your couch collection with these tropical leaf pillows that bring color, comfort and botanicals into your home. Modern Tropical pillow by Whitlock and Co.
17. 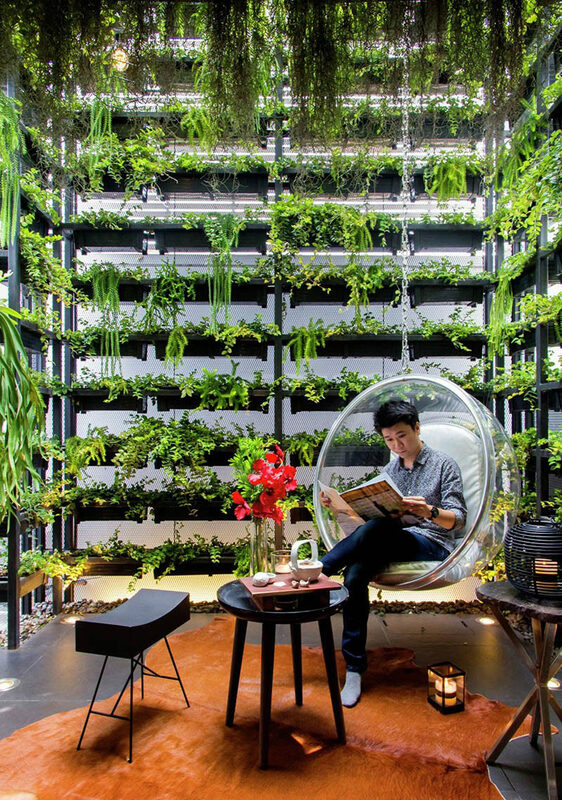 If you really want to embrace the botanical trend, why not built an entire garden inside your house?! See more photos of this home, here. Designed by Apostrophy’s design studio.